Induction cooking is a type of electric cooking that uses magnetic coils to heat cookware sitting atop the induction unit. The coil itself does not get hot. Induction cooktops are often used in commercial kitchens, because they cook food faster than regular electric or gas cooktops. Because only the pan and food get hot, the kitchen stays cooler. The Circulon.com website explains that induction coils are connected to electronic power that generates a magnetic field. The electromagnetic field oscillates, causing the electrons in the metal pan to move rapidly back and forth, making the pan get hot enough to cook food. The coils and the glass cooktop that covers them do not get hot, because they do not contain magnetic material. Food cooks as much as 50 percent faster with induction. When you change the temperature setting, the electromagnetic field adjusts almost instantly, giving you excellent control over cooking temperatures. Disabled people and children can work safely near the stay-cool cooktop, and spills are easy to wipe up. Induction cooktops provide energy savings, because the magnetic energy goes directly to the pan and there is little heat wasted. Induction cooktops produce extremely low frequency radiation, similar to microwave radio frequency. According to TheInductionSite.com, this type of radiation diminishes to nothing at distances of a few inches to about a foot from the source. During normal use, you will not be close enough to the operating induction unit to absorb any radiation. Studies have been done to determine the safety of induction cooking for those who have implanted pacemakers or defibrillators. An article at PubMed.gov reports pacemakers do not cause induction cooking unit interference. Another report published in “Europace” notes that problems may arise with an implanted pacemaker if it is unipolar and left-sided and the person is standing close to the cooktop where a pan is not placed concentrically over the coil. Cookware used on an induction cooktop must be ferrous for the magnetic field to work. The Federal Office of Public Health recommends using the correct pan size to cover the coil, centering the pan so the coil is completely covered. Use only flat-bottomed pans that will sit level on the cooktop; pans should make good contact with the cooktop. Avoid using metal cooking spoons, which may allow current to flow through your body. Circulon: Induction Cooking – Why is it so Hot (And Cold)? 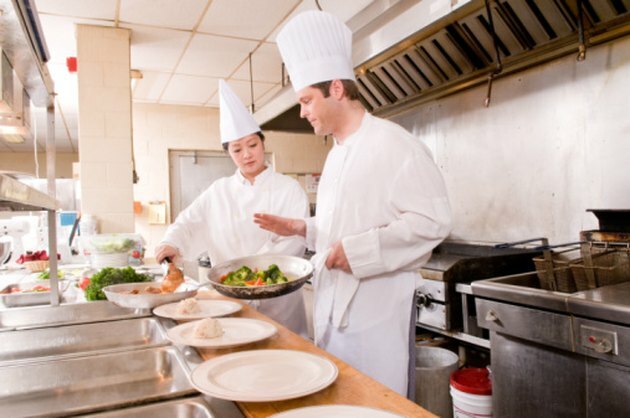 The Induction Site: Induction Cooking: Radiation Hazards? Europace: Do Induction Cooktops Interfere With Cardiac Pacemakers? What Are the Dangers of Propane & Kerosene Heaters?